For today’s spiky/pointy challenge I’ve found my photos of some scary spiky teeth! “Bullet with Butterfly Wings”, by Smashing Pumpkins, was released from their album, “Mellon Collie and the Infinite Sadness”, in 1995. It was written by Billy Corgan, and is on the Virgin label. 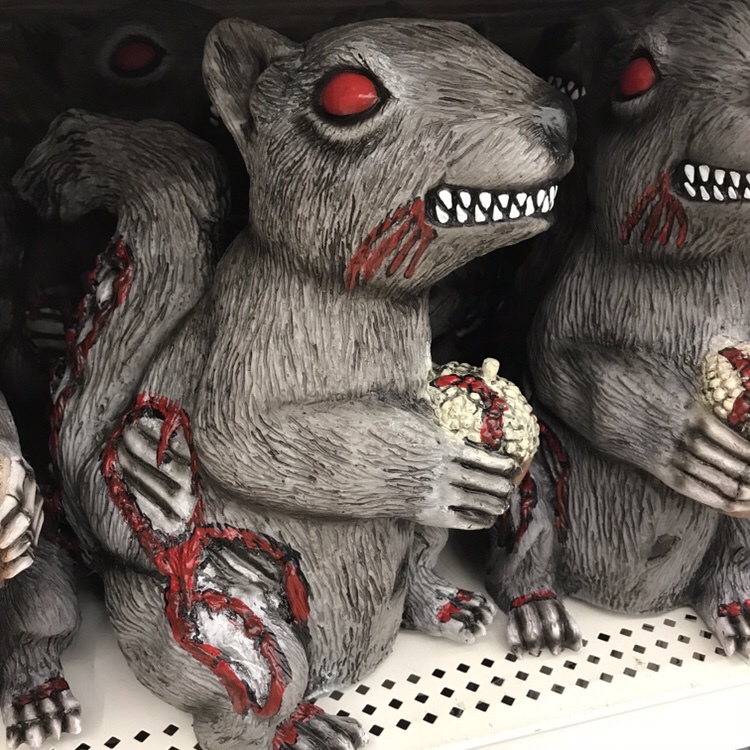 I’ve never seen those zombie squirrels at my store, because I’d have sure bought one!